Find out about your favorite chefs in our Chef’s Corner column. 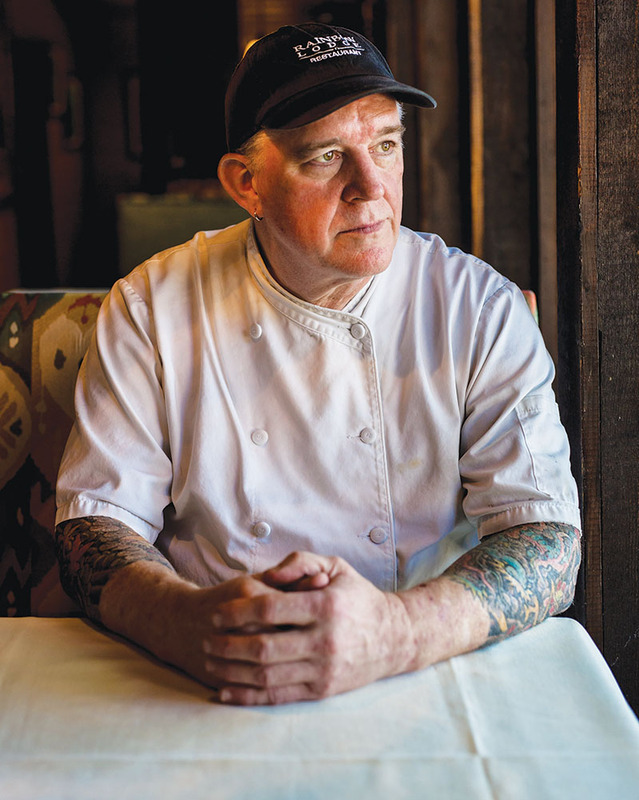 This month, restaurant writer Dai Huynh interviews chef Mark Schmidt. Cooks push the limits during the holidays to impress friends and relatives, grilling and braising meats they likely would not the rest of the year. However, when temperatures dip, the urge for wild-game dishes surges. Executive chef Mark Schmidt sees an uptick in demand for wild game during the holidays at the Rainbow Lodge (2011 Ella Blvd.). In the century-old log cabin overlooking the verdant woods along White Oak Bayou, the 58-year-old Texas native effortlessly combines his European roots with seasonal ingredients and wild game. Here, he shares his no-fail tips on grilling quail and buffalo steaks, along with roasting duck for the holidays. Ten years ago, you added fried Texas quail with bourbon-bacon gravy. Now, it’s a Rainbow classic, along with the wild-game mixed grill, which includes grilled quail. At home, how should we cook quail? You can find quail at the Central Market. They carry quail from Lockhart, which is what we use. They come in packs of four and are semi-boneless, so they’re great for grilling or pan-frying. They cook pretty fast, and the key with quail is to not overcook it. It’s a game bird, so it can be ever so slightly pink. That way, it’s nice and moist. They’re easy to prep. Use your favorite marinade or spice rub to season the birds, or you simply can rub them with a little olive oil, salt and pepper to taste, with garlic and a splash of Worcestershire. No matter how you season them, just make sure that the grill is hot, and the grate is cleaned and oiled. This is important. Now, put the birds on the grill for two minutes, then turn them 45 degrees and cook for another minute. Repeat on the other side. Because they’re semi-boneless, they’ll lay flat, making them great for grilling. People think of grilling in the summer, but when the weather cools down, that’s the time for wood-grilled meats. We’re fans of duck, but like so many home cooks, we’re intimidated by a whole duck. Any suggestions? Try duck breasts; they’re easy. The secret is to first cook them in a cast-iron skillet over the stove, skin side down. Over low-medium heat, slowly let the fat in the skin render. Let the skin get crispy, then flip them over. Now, put them in the oven at about 375-400 degrees and roast the duck until medium rare. As for seasonings, you can use a little salt and pepper before you cook them. That’s it, or if you like, add a little chili powder. Your preference, too, is to use a cast-iron skillet to grill beef, buffalo and bison steaks. Why cast iron? It holds heat better than aluminum, so you get a better sear. Also, take your steaks out of the refrigerator 45 minutes to an hour before you grill them, so they can reach room temperature. If you cook the steaks right out of the refrigerator, you’ll get cooked steaks on the outside that are cold inside. Not what you want. You fell in love with food as a young boy, learning to cook perfect omelets with your Merchant Marine uncle while visiting your mother’s family in England four months out of the year until you turned 18. Also, this is your second stint at the Rainbow Lodge. You left for a few years to open the English pub-inspired Blackbird and Henry in Austin. So, we can confidently ask you this: Where do you go for English food? There is the Red Lion British Pub (2316 S. Shepherd Drive). That’s a good English pub. I go there when I get a craving for fish and chips. That’s my go-to for fish and chips. And you always have to have a pint of good English ale while you’re there. Now, right across the street is an Irish pub, called Kenneally’s (2111 S. Shepherd Dr.); been there forever. That’s my go-to when I want thin, crispy pizza. It’s my favorite thin-crust pizza in town. What about Indian/English curries, something you were exposed to back as a youngster in the ’60s? It’s not a London pub, but it has “London” in the name. It’s called London Sizzler (6690 Southwest Freeway), and it has the kind of British-style curries that remind me of the curries I grew up eating as a kid. The vindaloo is really good. They don’t always have it, but I always get the goat biryani if they do. Need a holiday recipe? 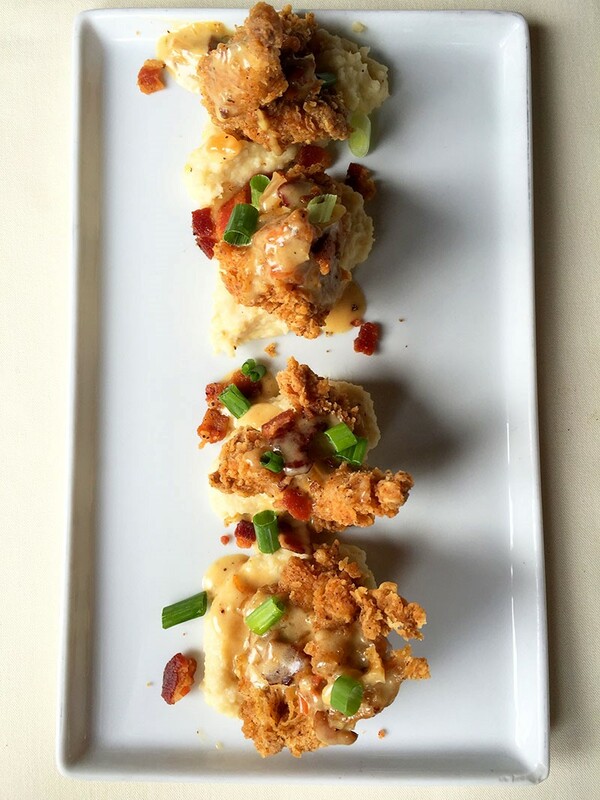 Check out Mark Schmidt’s recipe for Fried Quail with Bourbon Bacon Gravy. Editor’s note: Buzz dining columnist Dai Huynh is a James Beard food-journalism award winner and longtime Houston-based restaurant writer.